Company of Heroes is a 2006 real-time strategy video game developed by Relic Entertainment . 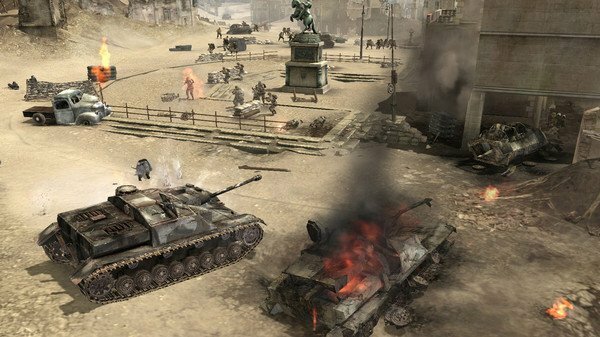 Delivering a visceral WWII gaming experience, Company of Heroes redefines real time strategy gaming by bringing the sacrifice of heroic soldiers. Adds life to the game through war-ravaged environments, and dynamic battlefields. Beginning with the D-Day Invasion of Normandy. Players have to lead squads of Allied soldiers into battle against the German war machine through some of the most pivotal battles of WWII. Through a rich single player campaign, players experience the cinematic intensity and bravery of ordinary soldiers thrust into extraordinary events. Advanced squad AI brings your soldiers to life as they interact with the changing environment to eliminate all enemy opposition. 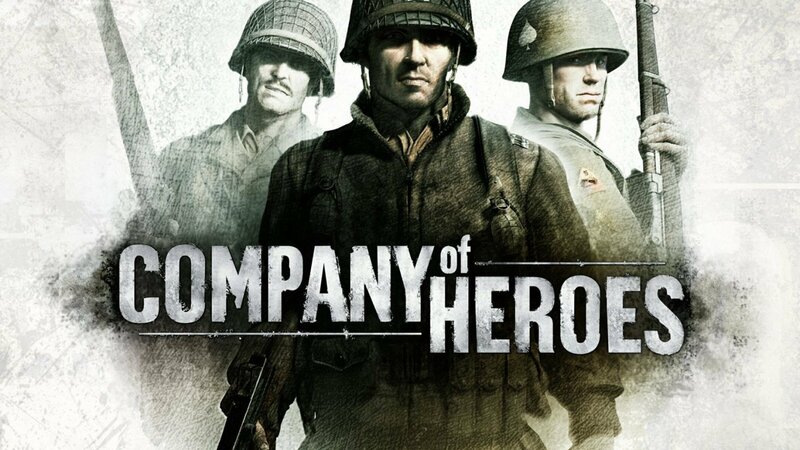 Company of Heroes received widespread acclaim, winning multiple awards for the best strategy game of the year. Players must take control of certain points on the map. The more of these points a player controls, the more resources they acquire. This concept demands constant expansion of a player's territory. These points are connected like supply lines, and so, during the course of a battle a player can capture one point in the supply line, isolating the rest which had been connected to the base through it, therefore reducing the enemy's resource intake. Players collect three resources: manpower, munitions, and fuel. Manpower is necessary to produce all units. Munitions allows players to upgrade individual squads or vehicles and use special abilities. Fuel allows players to purchase tanks and other vehicles, build base buildings and acquire global upgrades. The player can decide, at a manpower cost, to place observation posts on any captured resource points. Doing this increases the point's production by 40% and make them more durable against enemy takeovers. This means sacrificing resources in the short-term for a greater long-term intake. Resource points must also be connected as any unconnected captured points can not produce resources. The game's basic gameplay elements (both single player and multiplayer) are unique. Offers true decision making and deliberation on your part to be successful. Be it positioning of weapons teams or the will to only fight when you have something to gain is most important of all. Holding territory and maneuvering into a position of power is the game of war, not pointless bloodshed. Every faction is an amazing display of authenticity and power, fielding their own war machines and military doctrine according to history. Every Rivet in their tanks to the patches on their uniforms draws you in to the unwordable reality of WW2. And this is the part where the game gets it's praise from many.